Reverend Keith Blackwood was inducted as minister of Mannofield Parish Church on Thursday 21st June 2007. 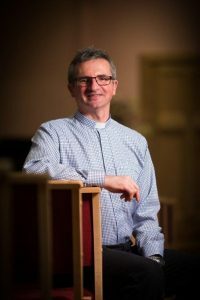 For the previous 10 years he was minister at Bearsden North Church, Glasgow and while ministering there oversaw the development of the new congregation of Baljaffray Parish Church which was raised to full status as a Church of Scotland Charge in 2006. His early life was spent in Motherwell, Lanarkshire and he obtained a B.D and Diploma of Ministry from Glasgow University. 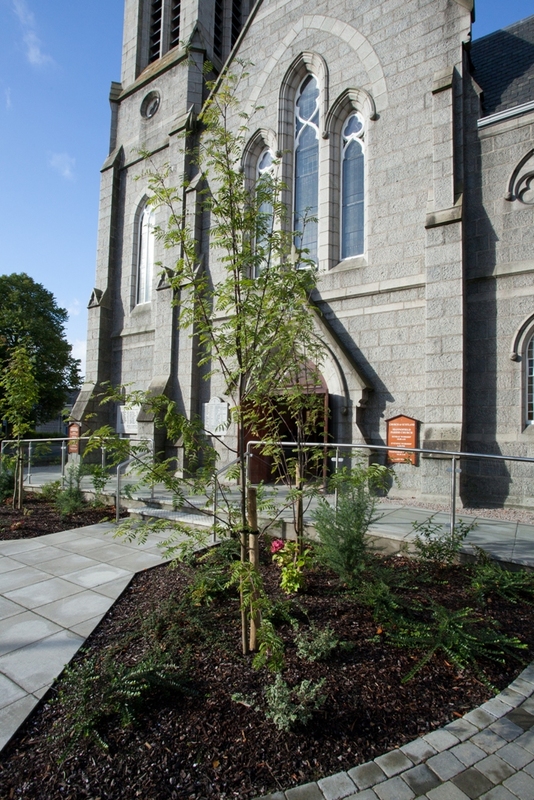 He served two years as Assistant Minister at Alloway Parish Church, Ayr, before being called as minister to Bearsden North Church. He is married to Katrina and together they have three sons – Aaron, Finlay and Angus. Rev. Holly Smith joined Mannofield Parish Church as our associate minister in August 2018. She transferred from the Presbyterian Church (USA) and is completing a nine month familiarization placement before she accepts her first Church of Scotland charge. She holds a BSIS in English from Stephen F. Austin State University, a Master of Divinity (MDIV) from Austin Presbyterian Theological Seminary and a M.Ed in Counselling from Angelo State University. Before arriving in Scotland Holly served churches in South Dakota, Florida, Iowa and Texas. She is the mom of four precious kiddos and wife of Matthew. When not taking care of the tribe, Holly loves curling up with a good book, flying across the world and talking in goofy voices to the four legged Smiths. She is always up for a cup of tea and a chat.